Posted: Wed Jan 30, 2013 3:02 am Post subject: Re: How's everyones hunting season going? no worries about keeping the meat cool and no plurry blowflies either!!! great job. hope they taste as good as they look. Posted: Wed Jan 30, 2013 8:56 am Post subject: Re: How's everyones hunting season going? If I can get it all together this will be a summary of my deer season. 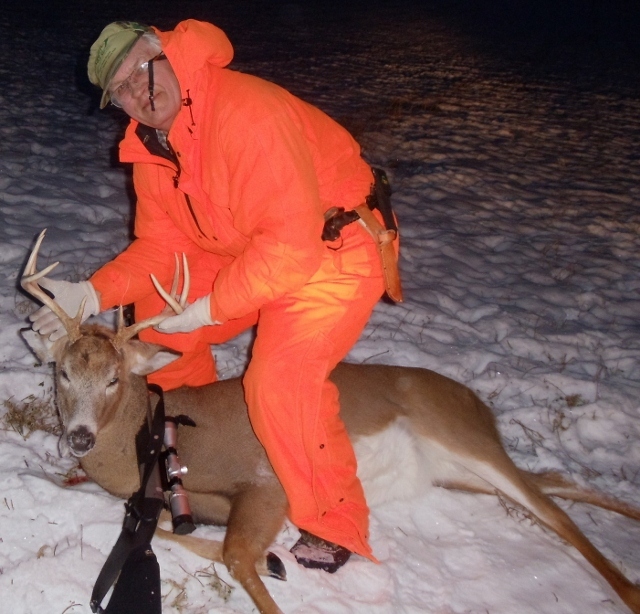 I took one buck at first light on opening day and the other one New Years eve day at 4:30 p.m. with bp rifle. I took a doe a week later but got no pics. The doe was donated to HUSH. New Years Eve Day buck! Posted: Wed Jan 30, 2013 10:04 am Post subject: Re: How's everyones hunting season going? That's about the prettiest rack, clean and polished! Posted: Wed Jan 30, 2013 10:14 am Post subject: Re: How's everyones hunting season going? Yes'm he done 'em good!! Posted: Wed Jan 30, 2013 8:37 pm Post subject: Re: How's everyones hunting season going? Good eats for the winter this year. Posted: Wed Jan 30, 2013 8:52 pm Post subject: Re: How's everyones hunting season going? Posted: Wed Jan 30, 2013 9:58 pm Post subject: Re: How's everyones hunting season going? Didn't get any pictures of my 2 deer. They didn't stay still long enough for me to shoot them either.....I swear it was a long season for me, from Oct. to Dec. and only saw 2 deer. Shot at one and missed (ashamed to say) then it went into the thickest darkest woods I've ever seen. The second one came trotting down the road right at me, while I was sitting in my truck thinking about turning up a hill. The deer decided to go up it, so I got out, aimed and it took off behind the hill. I drove up that hill, the deer was standing there waiting for me, so I got out again and it took off behind a berm never to be seen again.....that's my story and I'm stickin to it. Posted: Thu Jan 31, 2013 1:49 am Post subject: Re: How's everyones hunting season going? Posted: Thu Jan 31, 2013 2:51 am Post subject: Re: How's everyones hunting season going? 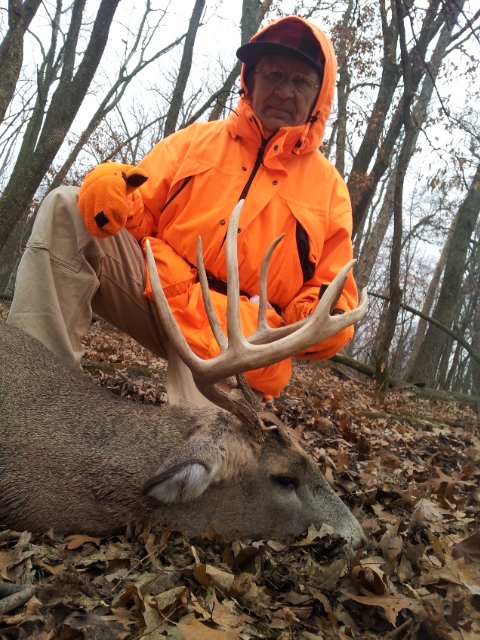 Well done Vint Man...a damn fine looking buck mate. Posted: Thu Jan 31, 2013 9:52 am Post subject: Re: How's everyones hunting season going? Suzanne, that sounds long and frustrating!! Hopefully your next hunt will be much better! Thanks for the kind words guys! 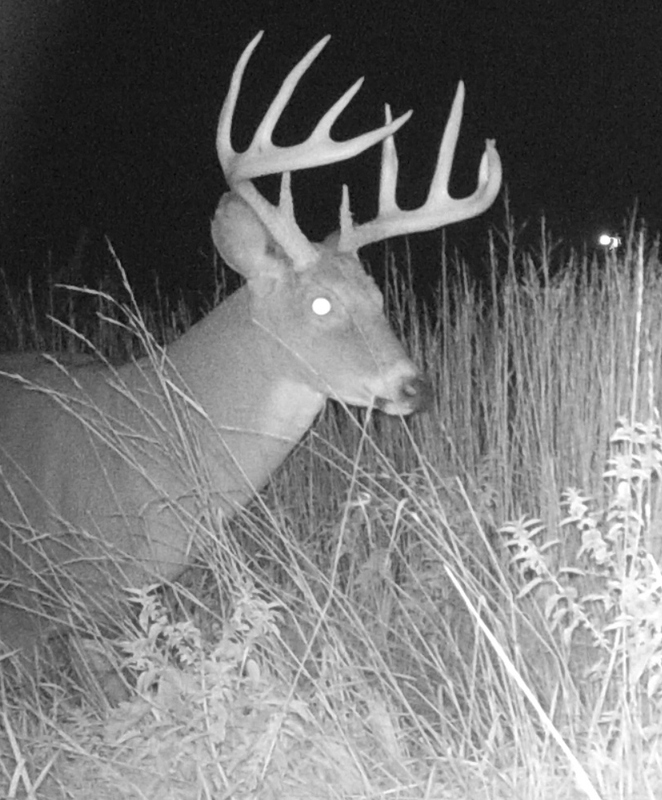 I am very pleased with my season, all the way around, but if I can make it work I will attach a trail cam shot of the one I wanted but did not see until the season closed!! Posted: Fri Feb 01, 2013 1:40 am Post subject: Re: How's everyones hunting season going? very nice and a good reason to keep looking. Posted: Fri Feb 01, 2013 8:28 am Post subject: Re: How's everyones hunting season going? 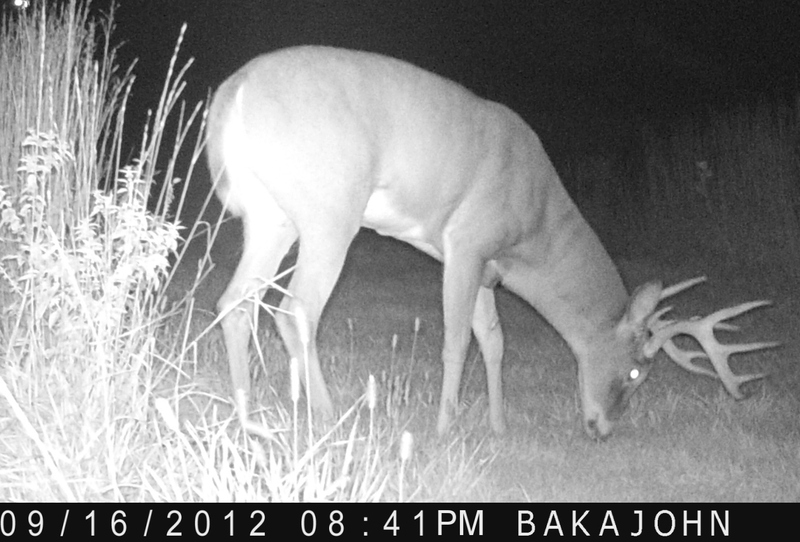 Hopefully Iwill find him on my trail cam late summer!! Will post pics if I get them! Posted: Fri Feb 01, 2013 4:49 pm Post subject: Re: How's everyones hunting season going? Posted: Fri Feb 01, 2013 5:20 pm Post subject: Re: How's everyones hunting season going? Thanks,Omni! How did it go in your neck of the woods?? Posted: Sat Feb 02, 2013 9:05 am Post subject: Re: How's everyones hunting season going? Got 3 bucks during our seasons, nothing big just average size.